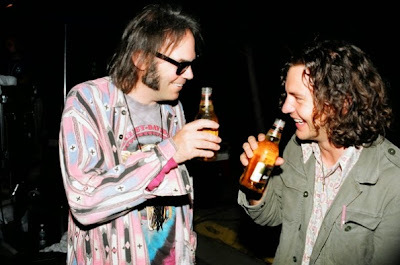 Here is a very rare video of Pearl Jam and Neil Young performing "I'm The Ocean" in concert at Golden Gate Park, San Francisco, CA on June 24, 1995. The tape comes from the legendary Wolfgang's Vault -- Bill Grahams' Archives of concert recordings. This video is a special memory here at Thrasher's Wheat. This concert was TW's first attempt at live blogging back in 1995. It actually resulted in real time posts on Rust, that were archived to this website. This concert was really the genesis of what we eventually evolved to become -- gonzo blogging with abandon and without regard for the consequences of blogging truth to power. Although an incomplete recording, it is pretty cool to see this actual concert footage 20+ years later. 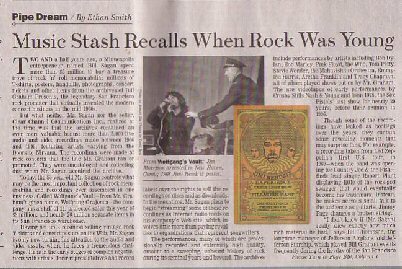 Historically, this concert has come to be known as "The Day Neil Young Saved a Pearl Jam Concert". After Eddie Vedder fell ill a few songs into the set, Neil Young stepped in to take the lead of Pearl Jam for the remaining setlist. Here from the TW archives, are those legendary real time rust posts from way back in those lonely early days of the internet: "Dispatches from the Field". 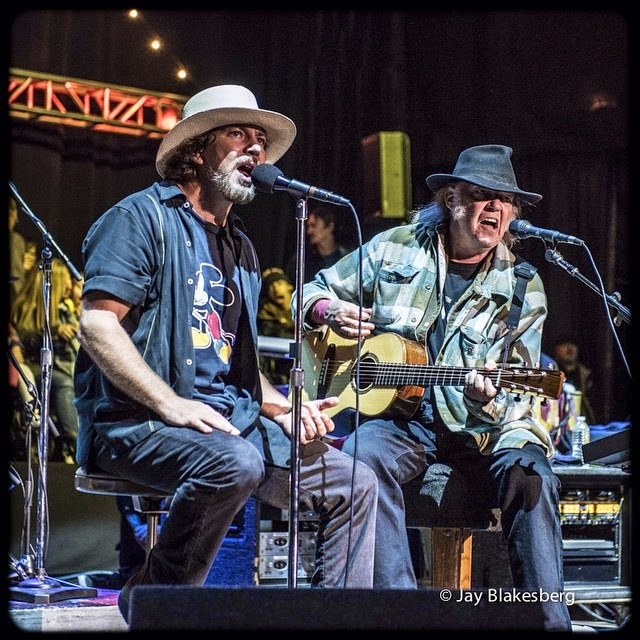 The Photo of the Moment is Eddie Vedder & Neil Young at 2014 Bridge School Benefit Concerts performing "Throw Your Hatred Down" with Pearl Jam.